It is well known that the length of a \(\beta \)-reduction sequence of a simply typed \(\lambda \)-term of order \(k\) can be huge; it is as large as \(k\)-fold exponential in the size of the \(\lambda \)-term in the worst case. We consider the following relevant question about quantitative properties, instead of the worst case: how many simply typed \(\lambda \)-terms have very long reduction sequences? We provide a partial answer to this question, by showing that asymptotically almost every simply typed \(\lambda \)-term of order \(k\) has a reduction sequence as long as \((k-2)\)-fold exponential in the term size, under the assumption that the arity of functions and the number of variables that may occur in every subterm are bounded above by a constant. 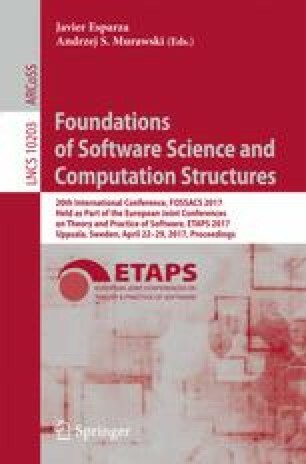 The work has been motivated by quantitative analysis of the complexity of higher-order model checking. We would like to thank anonymous referees for useful comments. This work was supported by JSPS KAKENHI Grant Number JP15H05706.